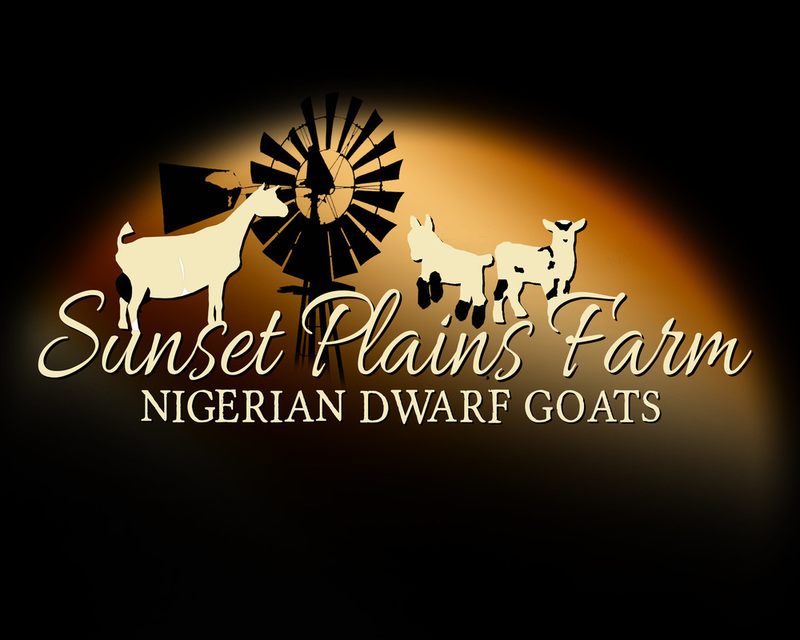 Raising Quality Registered Nigerian Dwarf ​Dairy Goats. MCH/CH Sunset Plains CS Hershey Kiss. 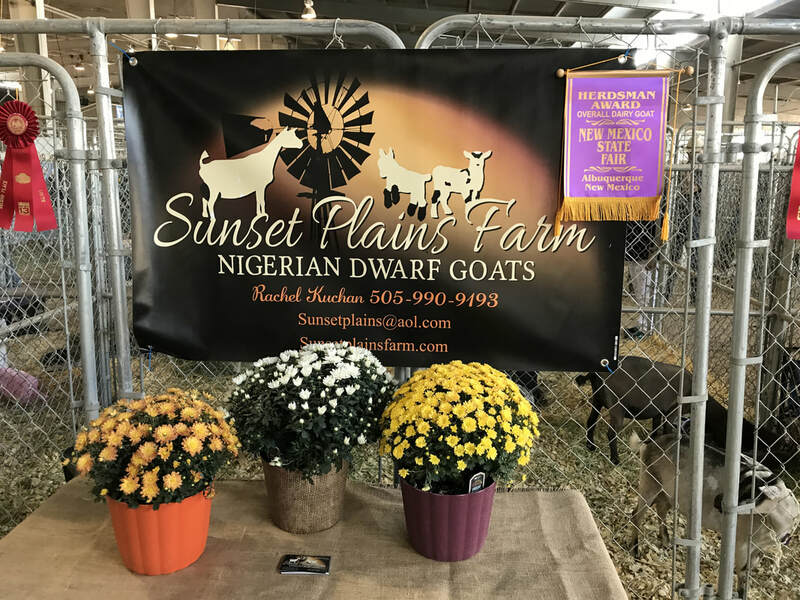 We have been breeding registered, show and milk quality Nigerian Dwarf Goats since 2009, with an emphasis on correct conformation and ability to milk well with long, level lactations. Sunset Plains is located in Edgewood, New Mexico. 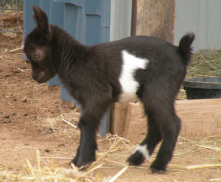 We are members of the American Goat Society and the American Dairy Goat Association as well as the Southwest Dairy Goat Club. 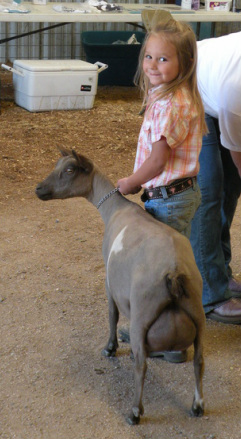 All goats are double registered with AGS and ADGA. We strive to produce great milkers as well as great show animals, the all in one miniature dairy goat package! Sunset Plains participates in Linear Appraisal when it comes to our area, usually every other year. We are excited to be ADGA Plus members. Herd tested CAE and Johne's free for 2019. 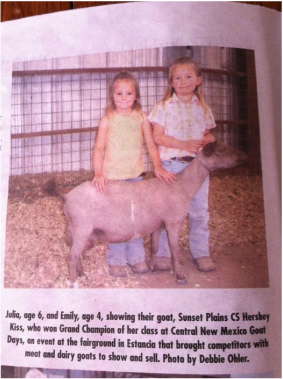 Hershey and my girls made it into the newspaper! Reiner and his favorite Silkie chicken. "Be diligent to know the state of your flocks and attend to your herds... And you shall have enough goats' milk for your food, for the food of your household..."
© Sunset Plains Farm, Rachel Kuchan. ​permission and credit given to our farm.